Should You Renew or Relocate Once your Office Lease Expires? Your lease is about to expire. Are you going to renew your lease or relocate? There are pros and cons to each, so take some time to go through them carefully. We recommend starting this process at a minimum of 6 to 9 months before your lease expiration. This gives you ample time to survey the market and tour available space - it also allows for time to build out office space and complete tenant improvements. To see what the market has available, or what will become available before your lease expiration. After touring available office space, you may realize your current situation is best for your business. Alternatively, you may decide a new office will enhance the efficiency and image of your business. To develop a story and a data set to present to your current landlord. Using this leverage, you will be much more prepared to negotiate your renewal. You will be armed with information to backup a counterproposal and to recognize if you’re being taken advantage of. The obvious benefit of renewing your lease is that you don’t have to move. Your business can continue as normal with no disruption. This does not mean that you can’t negotiate your renewal terms. In fact, you can and should take an active role in your renewal process. Additionally, you’re already familiar with the area. You know how to give directions to customers, employees, and vendors; plus, the nearby coffee shop knows your name. A history of renewing with your landlord provides security to your landlord’s investment, and they may be more inclined to help you offset rentals costs with free rent and tenant improvements. This can also be a con - a landlord can take advantage of your relationship if you don’t take an active role in the renewal process. Deciding to stay where you are might not be the best for your business. If your current situation is affecting the efficiency of your office, renewing a lease might send the wrong message to employees and customers. Office trends tend to change every 5 years or so. If you decide to stay where you are, your space may look antiquated and affect employee morale. Long term, you may not have room to grow on par with your business plan. 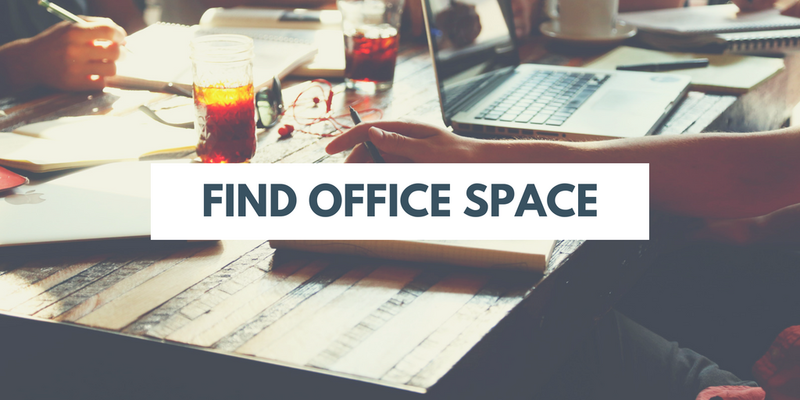 The opposite may also be true - you may have too much empty space in your office. When you relocate, you can have a space built to suit. An efficient, customized space can save capital and increase your bottom line. You can group employees and departments as needed, and offer a better work experience. Amenities like a conference room or a kitchenette area are also things to consider. Maybe you have come to prefer an open work environment, or maybe your industry requires private offices. There are plenty of new possibilities when you move into a new office. A new, fresh building identity may give you added confidence to invite clients and vendors into your office. This may also boost employee morale and efficiency. Your relocation will also bring a new landlord. A new landlord is more inclined to offer concessions, like free rent and tenant improvements, to a new tenant. This will offset some of your moving costs and reduce rent expenses. If not properly handled, a move can be a stressful process. Combine that with trying to get everyone to agree on the office layout, and your business may suffer downtime. You may also have to purchase new, or additional, furniture. Although this may be offset by rent concessions, shopping and purchasing are still additional expenses. A new landlord relationship can cause anxiety. You do not know for sure how this landlord operates, and what their long term goals with their building are. It’s important to explore all options when leasing office space for your business. Working with a tenant representation (tenant rep) specialist can help make the process seamless. There is no cost to work with a tenant rep broker as the landlord (new or current) pays the fee.